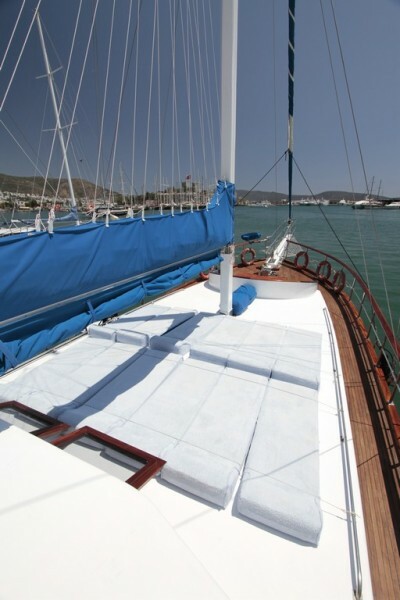 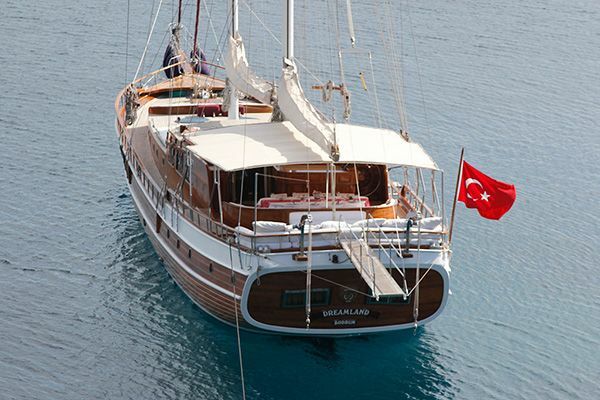 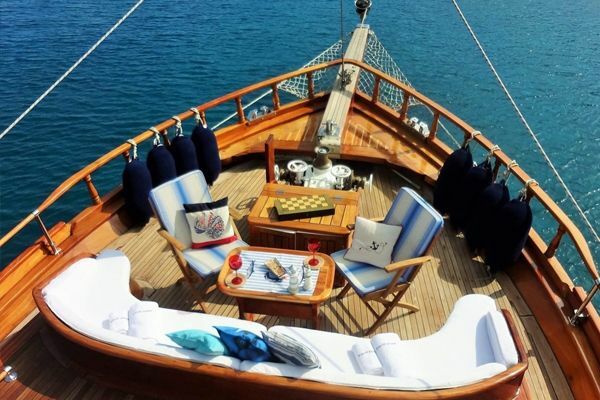 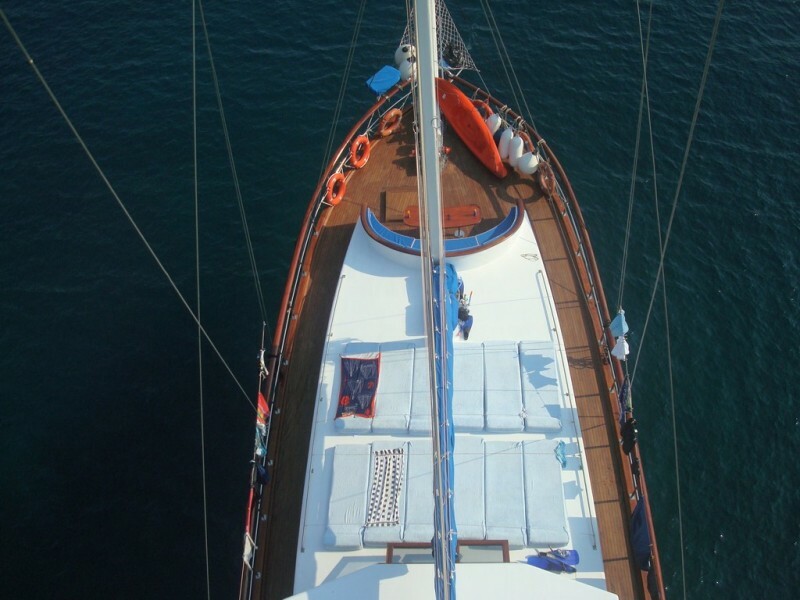 Relaxing on the gulet yacht Gokce makes for the perfect charter holiday in Turkey. 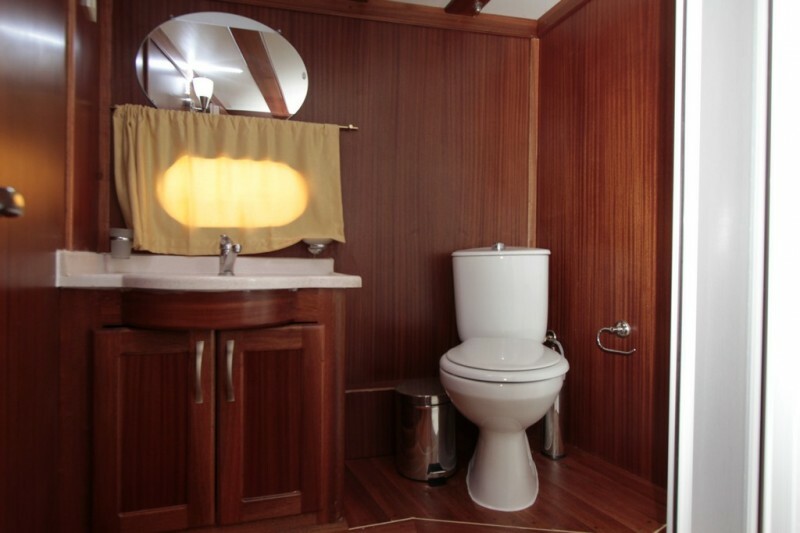 With a neat, practical mix of four double and two twin cabins, each with ensuite shower bathroom, she easily carries family parties or groups of up to twelve guests. 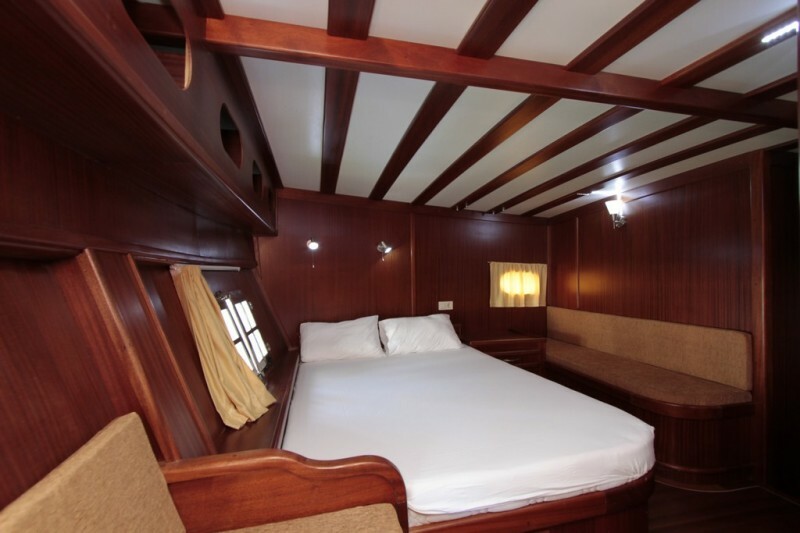 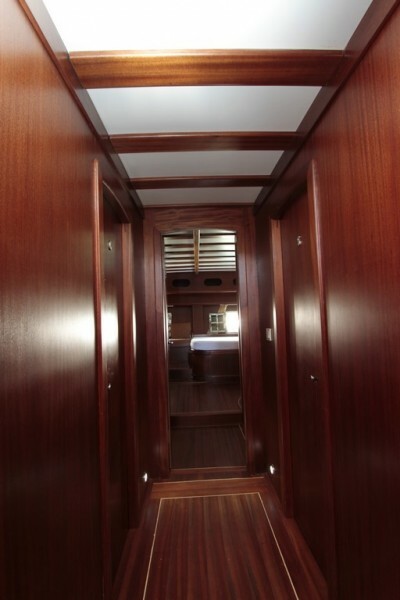 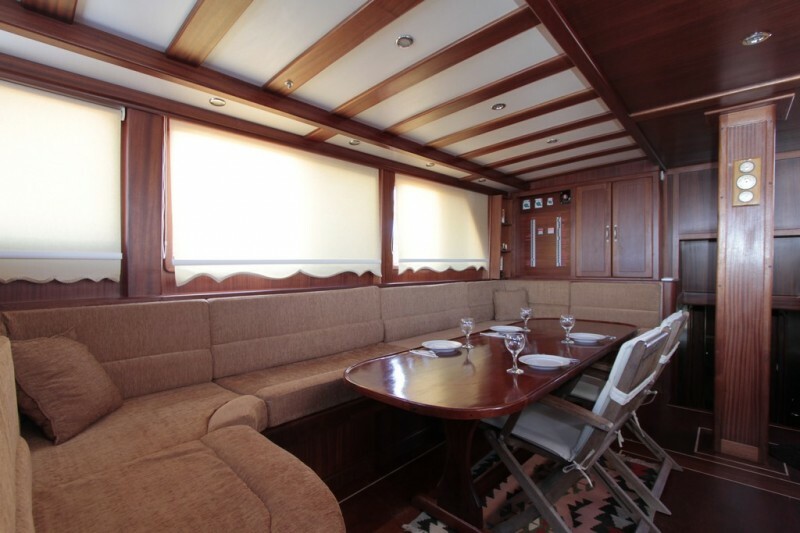 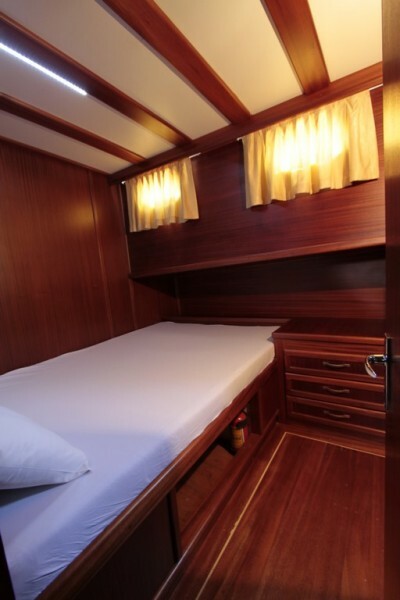 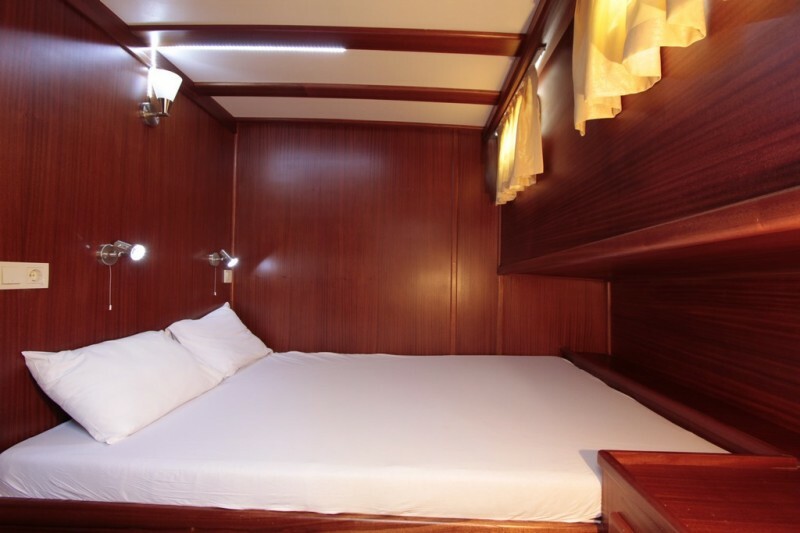 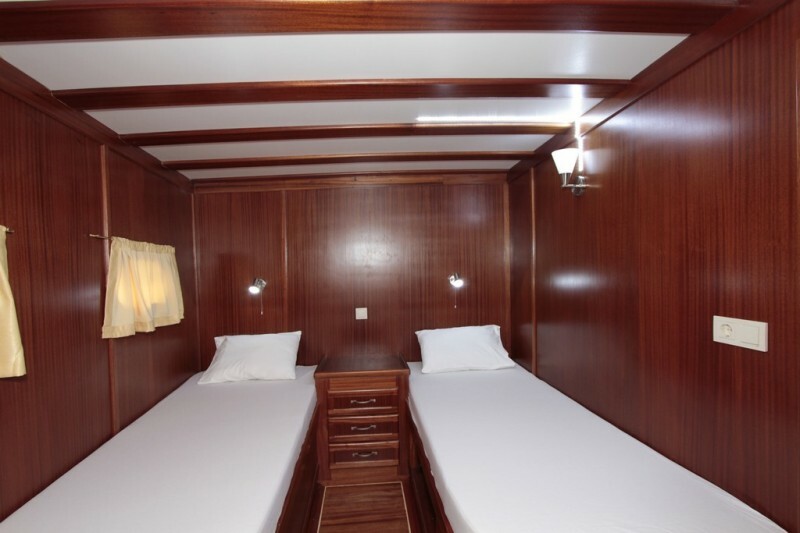 The master double cabin on Turkish gullet Gokce enjoys the space and light across the transom stern, while the other twin cabins offer comfortable accommodation. 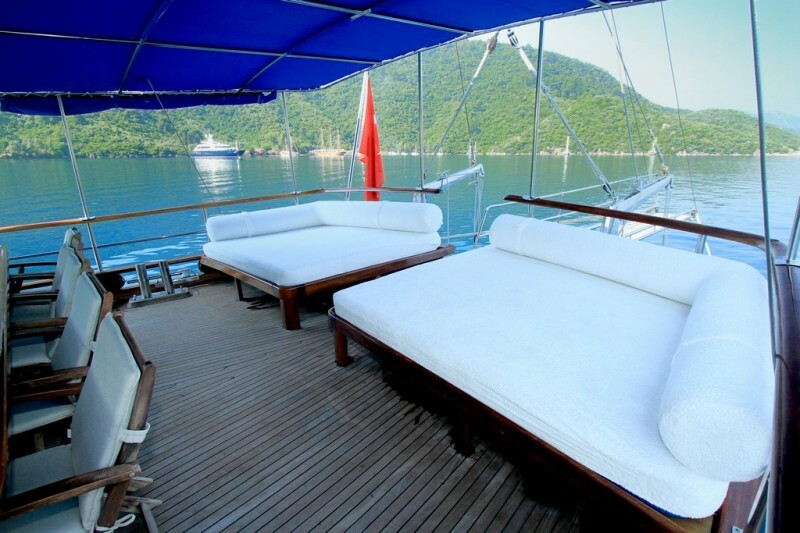 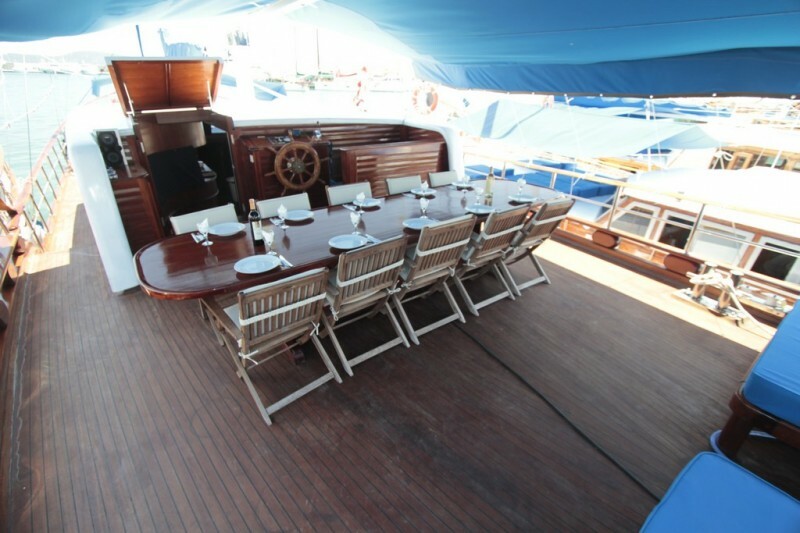 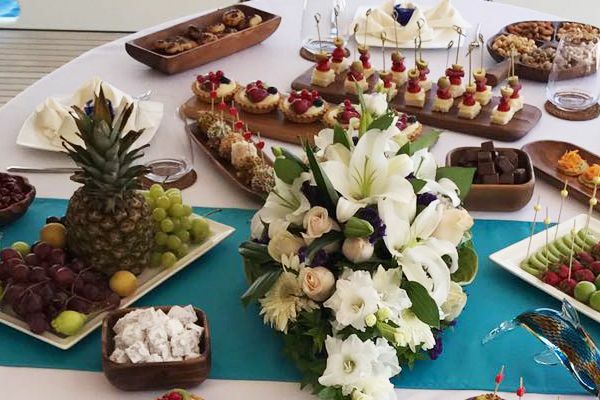 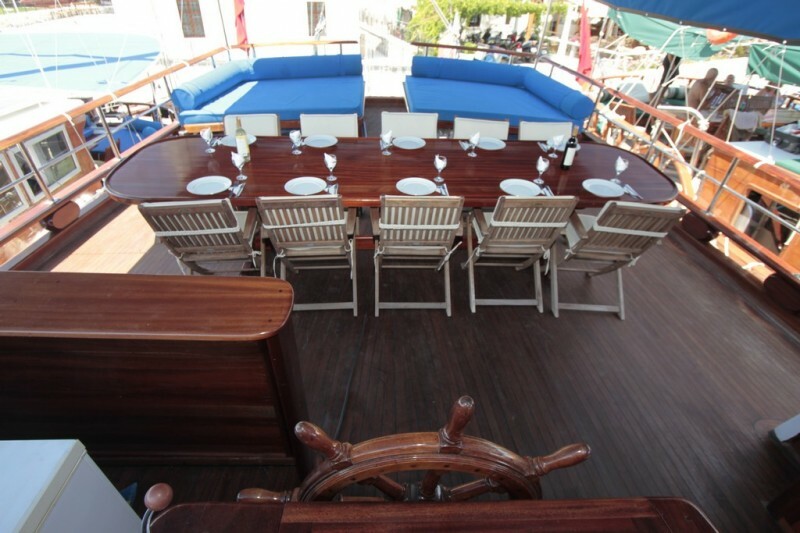 Guests can stretch out on the fore deck sunbeds, chill on the shaded aft deck cushions, and enjoy the fabulous food prepared by the crew daily on board and served at the aft deck table. 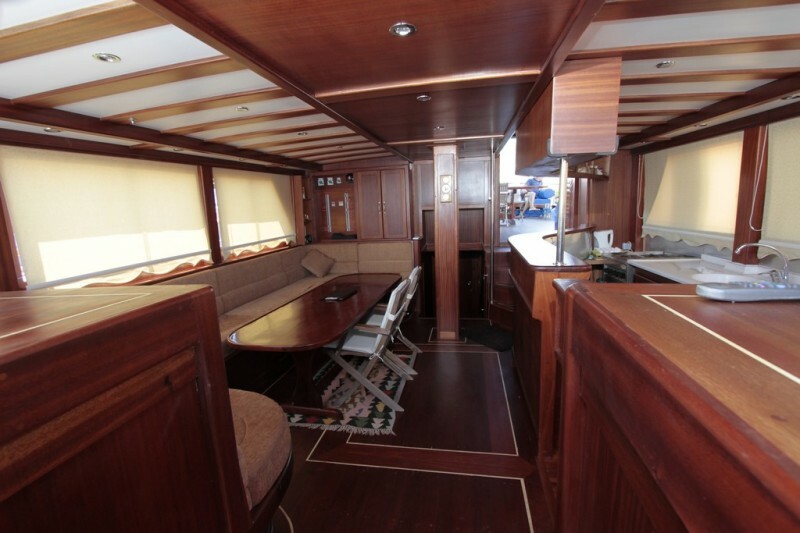 A tastefully decorated indoor saloon and bar hosts the music, TV system and connections. 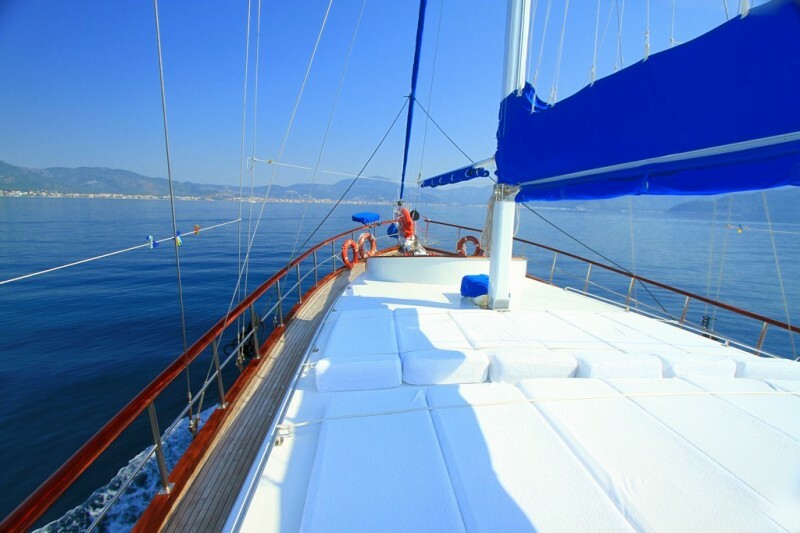 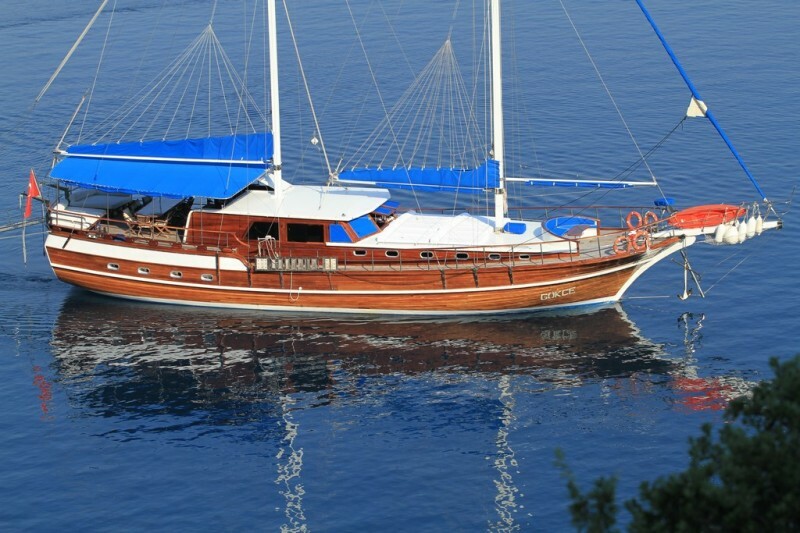 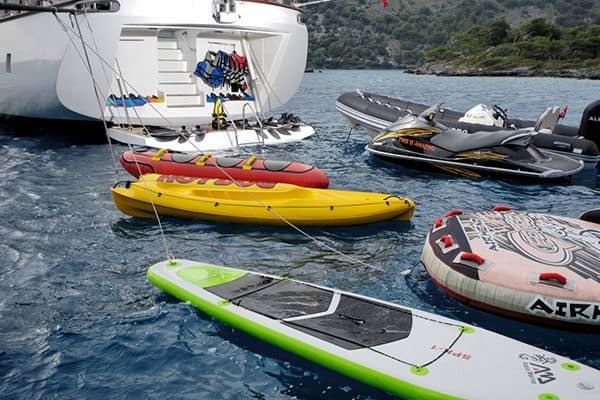 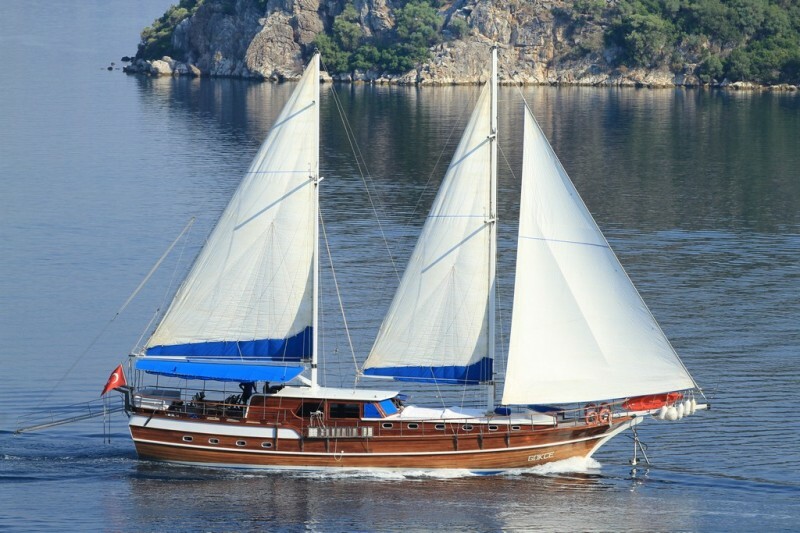 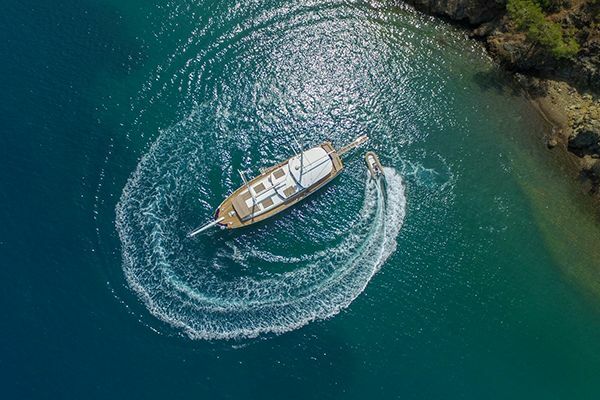 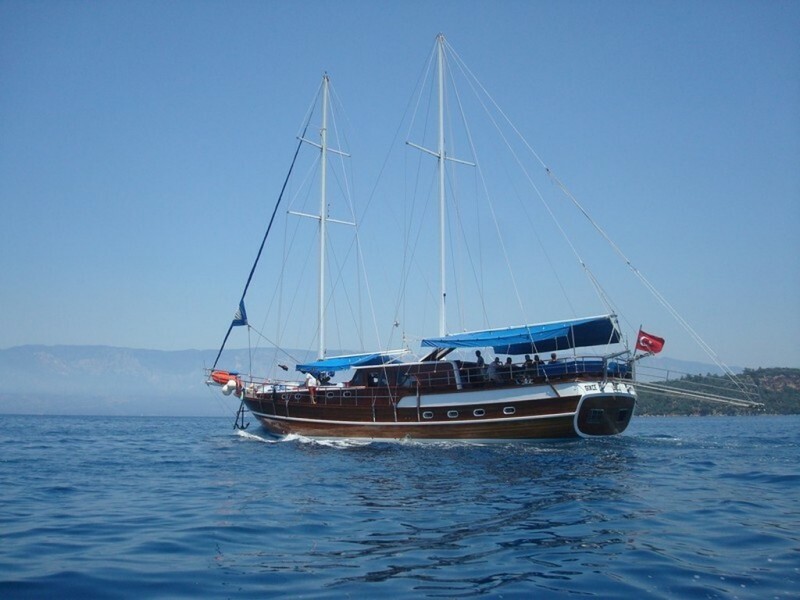 With the gulet Gokce guests can sail down the Turkish coast from Marmaris or to Bodrum, or cruise the nearby southern Greek Islands of the Aegean.